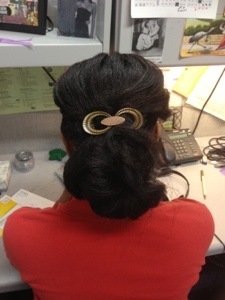 bunning | hair, there and everywhere! I wanted to do a quick post on my Wash Day last Saturday. I did do the Clairol Radiance Colorgloss on my hair to help patch up those porous ends. I am convinced that doing these rinses has been a big part of why my ends are not breaking as much! – Prepooed with coconut oil and safflower oil for 1 hour. – Washed hair with my normal shampoos. – Applied Clairol Radiance Colorgloss (I chose the Clear one) to my hair from root to tip. 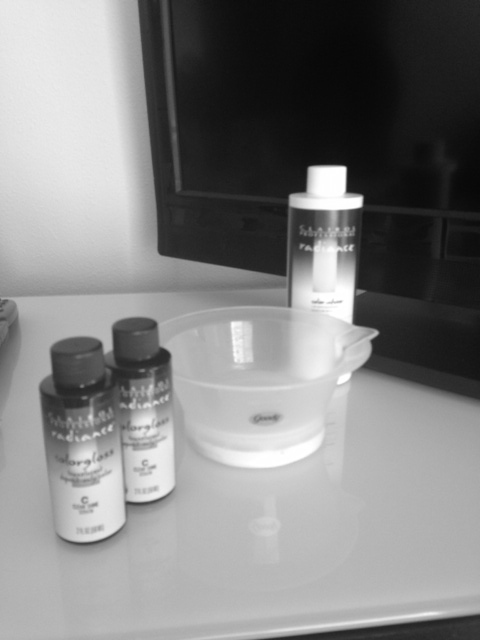 To make the colorgloss, you have to use 2 0z of Clariol Radiance Developer (sold separately) for each 20z bottle of the colorgloss. I started off with one bottle and 2 oz of developer and that was plenty for my hair length. I let this process for about 15 minutes without heat per the instructions. – Rinsed out, applied Alterna Conditioner to deep condition for an hour. – Applied Roux Porosity Control and final rinsed. 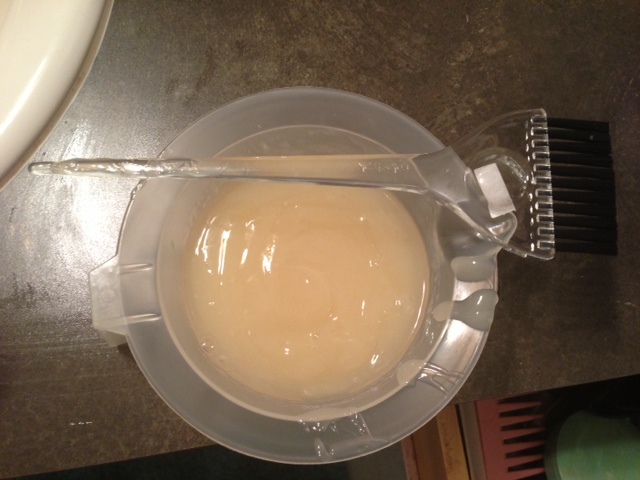 Immediately after rinsing the Colorgloss from my hair, my hair felt stronger and thicker. I was a bit scared because I thought my hair was going to break! However, that was not the case and my hair stayed firmly on my head! I plan on doing this every 3 months, about 4 weeks after my relaxer, as this stuff is washed away in about 12-15 shampoos. It was sooooooooooo hot last weekend that I could not bear to sit under the dryer for over an hour with some rollers in my hair, so I opted to sit under the dryer with my hair down to give it that air-dried look. Also, I have been doing some heavy workouts as of late (e.g. stair-running, Insanity – the struggle to lose 5 lbs is real! ), so I am sweating a lot. I don’t want to invest a bunch of time into a style that will last me 1 day. Also, it is so important to remove salty sweat from your hair, so I plan on co-washing mid-week to refresh my hair. I will be real careful to monitor my ends while I am air-drying, as they seem to break more easily. I plan on bunning most of the summer anyway, just like I did last year. Here’s to MBL in September!